riots … that’s just the beginning of his problems. to read after the Dragon Tattoo trilogy? 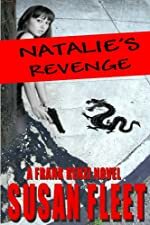 ruthless, has a tattoo, and 20 years after her mother’s murder in a New Orleans hotel, she’s back in the Big Easy … with a gun. * Feathered Quill Book Reviews says Frank Renzi is “the coolest detective in literature today,” and now you can stock up on the complete series right here. 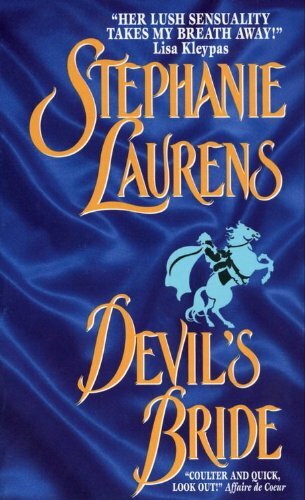 Kindle Daily Deal For Wednesday, Nov. 28 – Save Big on Stephanie Laurens’ Historical Romance Devil’s Bride, plus Jamie Hill Special Edition Published by Books We Love Contains Three Novels For $5.99 – That’s Less Than $2 Per Book! A Special Edition from Jamie Hill published by Books We Love. Wild Thing Series, Book One. Life can’t be all fun and games, or can it? Madison Stewart spends her days taking care of children at the Sunny Days Childcare Center, and her nights wondering what’s missing from her life. When Robert Cooper brings his three year old daughter, Sophie, to the center, he not only fills the vacancy in Maddie’s classroom, but also the empty spot in her heart. Sophie’s mother returns with her own agenda, and Rob is forced to choose between an old, familiar existence and his new, more complicated relationship. Shocked and hurt at his indecision, Maddie, with secrets of her own, feels the need to run and hide. When Rob seeks her out, what he finds stuns him and changes their lives forever. Wild Thing Series, Book Two. Madison Cooper has everything she’s ever hoped for. She adores her handsome husband and he cherishes her. Their children are lively and beautiful, bringing great joy to both of them. Her life feels perfect in every way. An urgent phone call from her mother draws Maddie into the past, where she’s flooded with memories, some of which are better left buried. Maddie struggles to deal with a series of unfortunate events, which increasingly complicate her daily life. Unresolved feelings niggle at her, until she’s forced to face her past and put things to rest, one way or another. Natalie Jameson has a handsome husband, three wonderful children, and one very big secret. She’s managed to keep it under wraps for over twenty years, but recent events lead her to decide she has no choice but to reveal the terrible truth. Alex Jameson has had one goal in life since the minute he met Natalie on their college campus. Do whatever it takes to make this woman happy. When circumstances threaten to unravel the web of secrets and lies they’ve built around themselves, will their love be strong enough to survive? When the infamous Devil Cynster is caught with plucky governess Honoria Wetherby, he astonishes the entire town by proposing. But Honoria isn’t about to bend to society’s will and marry. She craves high adventure and plans to see the world, if her passion for Devil doesn’t overpower her spirit first.